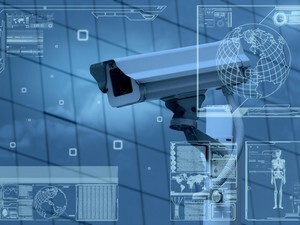 In the core security video surveillance system of intelligent security, the Internet of Things technology is mainly embodied in the application of video-aware systems. The video-aware system is the most important component of the Internet of Things perception system. The Internet of Things is collected by the system of the front-end sensing system. Through the data aggregation of the transmission network, the application of massive sensing data is realized. M2M application-based security systems protect user privacy and property against malicious vandalism, abuse, and unauthorized intervention. And to ensure public safety. With the rapid development of the financial industry, selfservice devices (such as ATM terminals and selfservice terminals) in the existing banking systems mostly use limited network access methods, but this kind of intervention method makes the autonomous service devices subject to limited network coverage. The impression is that smart settings are placed within the financial institution's business locations or within large commercial establishments, which constrain the service model. The new era brings wireless communication methods, and wireless communication methods are not affected by network physical factors. Relying on the 3G/4G/5G wireless network platform, financial institutions can arrange selfservice devices in any area that wireless networks can cover. This can effectively expand business coverage and provide a good network platform for improving business transaction volume. 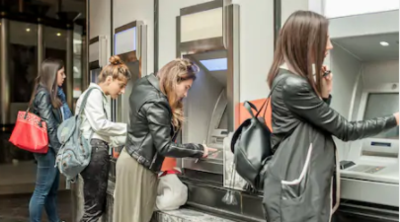 And with 3G/4G/5G wireless access, financial institutions can directly deploy self-service terminal equipment (ATM) in residential, community small commercial facilities. In order to solve the problem of community banking and retail network intervention. 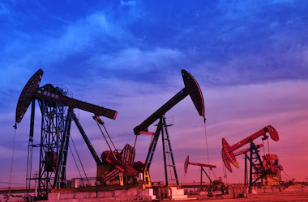 In the application of oilfield technology, the main purpose is to use real-time data acquisition of oilfield production process and link objects by various sensors, and transmit the collected data to the control center through wireless industrial-grade routers for data processing and application. The result is real-time feedback and control of the detected object. The unmanned retail system provides wireless network paging for unmanned vending machines through the Yike AT900 series 4G industrial router, which realizes the networking function of the unmanned vending machine and management platform, and this system mainly includes the front-end unmanned vending machine, Yike 4G industrial The router and cloud management platform are three major parts. The wireless networking system of the unmanned vending machine based on the Yike 4G industrial wireless router realizes the real-time monitoring and management of the operating state of the unmanned vending machine, which not only can improve the management efficiency to save labor costs, but also can be highly intelligent. 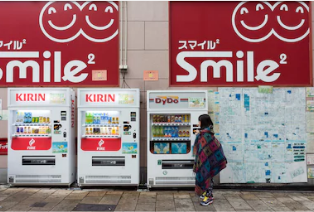 Improve the service capacity of unmanned vending machines and improve the market competitiveness of corporate brands. Make full use of network technology to create greater economic benefits. Intelligent parking systems are becoming more and more important in the modern era, and with the development of the Internet of Things, applications are becoming more and more common. 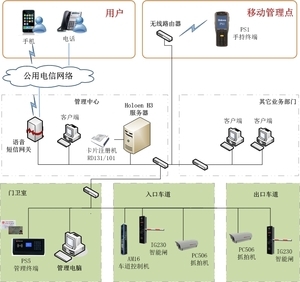 The intelligent parking system is mainly composed of computer, network equipment and lane management equipment to set up a set of vehicle access records, on-site location, and realize dynamic and static integrated management of vehicle access and on-site vehicles. Through the powerful functions of the intelligent parking system, the owner can also quickly find the surrounding parking lot by means of the Internet of Things platform, navigate to the parking space, find a set of intelligent parking procedures, etc., which will greatly save the owner's parking time. 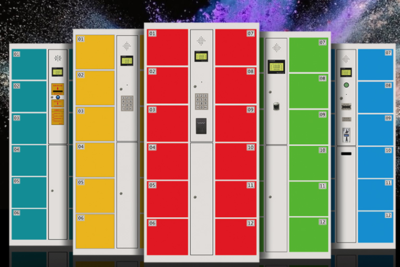 At the same time, the parking lot management office can also intelligently manage the vehicles in the field through the intelligent parking system, thereby greatly reducing the related labor costs and improving the efficiency of the parking lot, thereby achieving the purpose of increasing revenue. With the rapid development of the global e-commerce market, the delivery of goods and after-sales logistics services have gradually become the competitive value that e-commerce is chasing. The intelligent express cabinet system completes the transformation of parcel decentralized delivery to centralized delivery, and gradually realizes the conversion of manual collection and delivery into an automated operation, which can greatly reduce the personnel management cost of the courier company. Improve the delivery time of the package to ensure the safety of the item and the privacy of the recipient. The intelligent self-service express cabinet terminal can be freely and conveniently arranged indoors and outdoors, which is convenient for personnel to use and improve distribution efficiency. Support limited network, wifi network, 3G/4G/5G industrial router, low network wiring requirements. AcoreTek provides 3G/4G/5G industrial grade routers and M2M cloud management platform to provide customers with self-service express cabinet terminal wireless network management a complete set of solutions. Traffic problems are a matter of national economy and people's livelihood, and traffic congestion has now become a serious social problem. In response to this situation, improving the intelligent function of traffic is an effective way to solve the problem at present. Therefore, the construction of intelligent traffic management system has become the only way for urban traffic development. 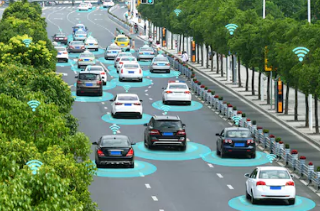 Intelligent Transportation Systems (ITS) is a comprehensive application of sensor technology, RFID technology, wireless communication technology, data processing technology, network technology, automatic control technology, video detection and recognition technology, GPS technology, and information release technology. In the transportation management system, a real-time, accurate and efficient transportation control and management system is established. The workflow of the intelligent transportation system is: firstly, by arranging various sensors to obtain the required traffic information; then using wired or wireless network communication technology; transmitting and collecting the acquired traffic information; and finally integrating all the data, thereby To meet the purpose of monitoring and managing transportation infrastructure and traffic flow, providing services to traffic users and managers.